Oil is being discovered all over the western North Slope, it seems. The latest announcement in mid-July from ConocoPhillips is that Willow, a discovery announced early last year, is bigger than first estimated and that a second find in the area can yield additional barrels. What's more, if Willow is developed it will require substantial new infrastructure — production facilities, drill pads, roads and pipelines — a multi-billion-dollar construction project sometime in the 2022-2023 timeframe. Willow is in the National Petroleum Reserve-Alaska, a large federal land unit in the western North Slope. Its development hasn't been officially approved but everything looks good so far. Waiting in the wings, meanwhile, is a second big project, Pikka, which is on state-owned lands just east of the Colville River. Oil Search, an Australian company, took over management of this project and is now a joint-venture partner with Repsol, a Spain-based major company. Pikka is in the final stages of regulatory approvals, and like Willow, doesn't yet have a final go-ahead. For now there doesn't seem to be any show-stoppers, though. This would be a second multibillion-dollar construction project that could be underway a bit sooner than Willow. If they both happen, it would mean a good, steady shot of new construction employment for the slope for several years after 2019. All this is good news. Bill Popp, CEO of the Anchorage Economic Development Corp., credits the new slope discoveries along with the gradually rising price of oil for an uptick in local confidence in the Anchorage community that AEDC sees in consumer surveys. Does all this mean the recession is over? Not really, although a boost in oil construction jobs on the slope will take out some of the sting. Basically, what's caused our recession is the loss since 2015 of thousands of well-paying permanent jobs in oil and state government. We shed 5,000 oil jobs. Add to that 3,000 state jobs lost since 2015, which were also paid well. State jobs were shed because oil revenues plummeted, causing budgets to be cut. The net loss of 8,000 big paychecks to the economy is a shock. Many of those jobs just aren't coming back. Willow and Pikka, and maybe ANWR, though that's still speculative, will restore some of the oil jobs but not all. This will happen because the shock of the oil price collapse in 2015 and 2015 caused the slope producing companies to find efficiencies and do things with fewer people. ConocoPhillips, for example, now produces 139 barrels of oil per day per operations worker, in oil fields it operates, compared with 96 barrels of oil per day per operations worker in 2015. This is according to a presentation to analysts on July 16. 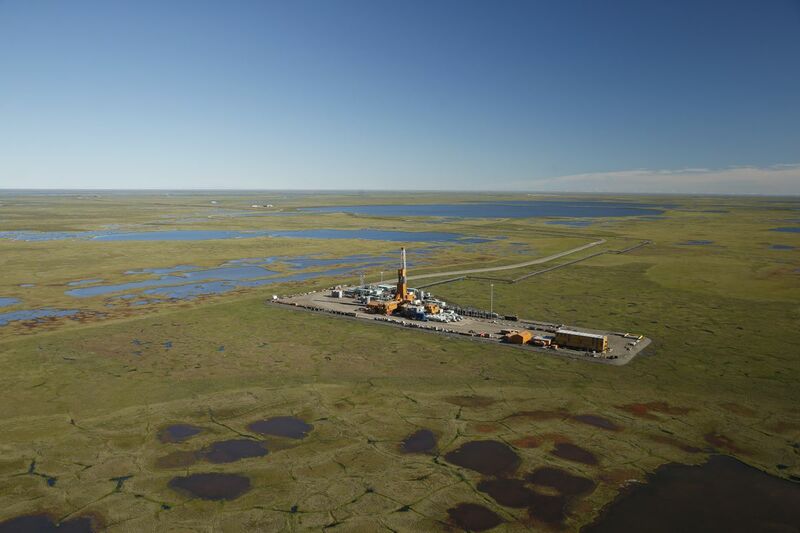 BP, which operates the Prudhoe Bay field, which produces half the North Slope's oil, has kept Prudhoe production steady over the last two years with only two rigs to drilling instead of five it employed in 2015. Pushed by lower prices, the companies are just being smarter about how they do their business. They employ fewer people, a downside, but the upside is that new oil is being produced at less expense, like $40 per new barrel for new projects and $30 per new barrel in expansions of existing projects. ConocoPhillips also spelled this out in its July 16 analyst presentation. The companies previously needed much higher prices to make new projects "pencil out." The good news is that we are better insulated from future oil price shocks that will surely come, although we may not see a return to 2015 employments levels unless there's a really big find in ANWR or the Arctic offshore. I have a similar expectation for state employment. Popp, at AEDC, thinks the Legislature's finally addressing the huge state fiscal gap, at least partly, also helped buoy public confidence. The difference here is that we still have a fiscal gap. The use of Permanent Fund earnings has reduced but not eliminated it. We'll see an uptick in state revenues with higher prices and, hopefully, some higher production someday. But we're unlikely to see $5 billion-plus state operating budgets (state funds) again, and $2 billion to $3 billion state capital budgets (again state funds), at least anytime soon. So where does all this leave us? Muddling along but muddling more uphill than downhill. There are big mining projects out there that could help things. A decision on building the $6 billion-plus Donlin Gold project near the Kuskokwim River, west of Anchorage, could come at the end of 2018 or in 2019. And then there's Pebble. Amid all this we're still in a great place. We survived the oil price crash (and hope it doesn't happen again) and we're on the way to restructuring our state finances. Fisheries are always cyclical but in the long term stable if we manage the resource well. Tourism is doing great, although the visitor industry tends to cycle with the national economy. The Alaska Permanent Fund is growing and churning out steady dividends for Alaskans. Tim Bradner is co-editor of the Alaska Economic Report and is the 2018 Atwood Chair of Journalism at the University of Alaska Anchorage. Tim Bradner is editor of the Alaska Legislative Digest and is the Visiting Atwood Professor of Journalism at University of Alaska Anchorage this year.